It seems every person on the planet is shopping on Black Friday. But to make it to the insanely crowded stores, you first have to find parking. This could be more stressful than the shopping itself. Wouldn’t it be great if someone could get there early and hold a spot for you? 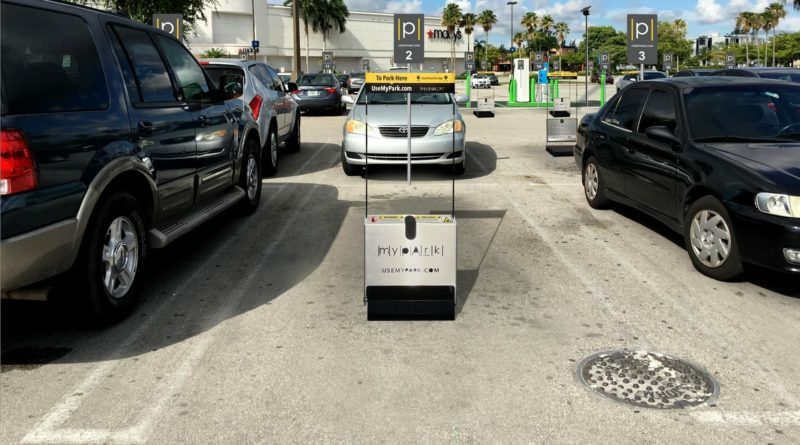 Miami based company MyPark is sending robots to hold your spot until you get there. No more driving around, fighting with other cars, or parking in another zip code. With MyPark you can select where and when you want to park. The best part is everything can be done via your phone. Customers sign up through the MyPark app. They then pick their preferred spot and what time they plan on getting to the mall. Once they arrive at the space, they simply tap “Let Me In” on the app and the robot allows access. It’s that easy. Of course, the best things in life aren’t free. Rates are about $3 for the first two hours with $3 per hour after that. If you are someone who really plans out shopping trips, you can reserve parking spots up to six months in advance. Currently, the service is in 11 locations throughout Florida and 10 in Minnesota, New York, New Jersey, Georgia, and Puerto Rico. Some of the major malls include Mall of America in Minnesota, Mall of Georgia, and NY tourist hot spot Woodbury Commons. The robots are also working in a few private locations in Florida. The full list can be found here. Beyond malls, the company is also looking to deploy their robots to businesses, airports, stadiums and parking garages. 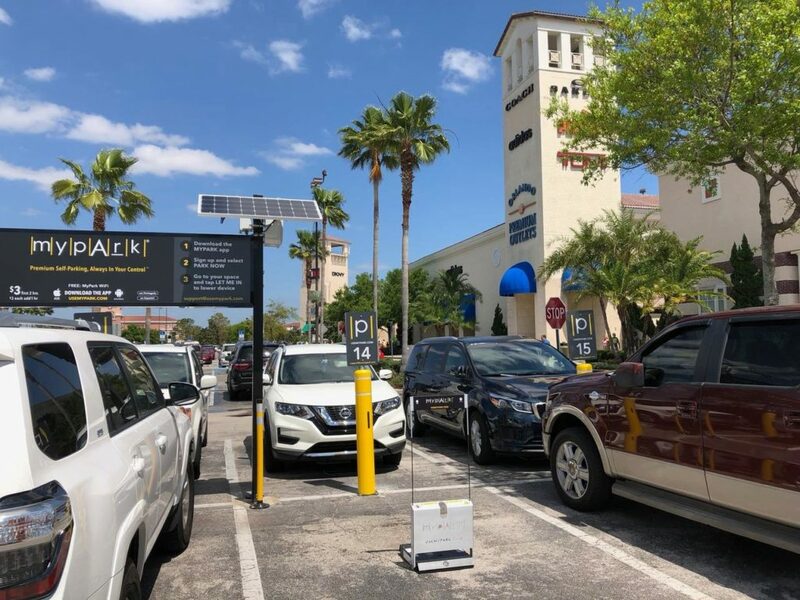 Along with holding spots for customers, the company feels the robots could be useful in helping to enforce employee parking. While only currently in the US, MyPark is looking to expand to places in Europe, Latin America, and the Middle East. Check out our articles on robots in grocery stores and ones that work in cafes.